One of my biggest transformations happened when I cut my hair short. At first, to my collarbone. Then to my shoulders. Then to my chin. And now with bangs. Definitely in phases. But one thing has always remained the same, I believe hair, much like style (and life really) should be effortless. Easy. It should make sense. Same with your hair color (more on that here). Naturally, my hair is bone straight. If I sleep with wet hair, I’ll wake up with perfectly straight hair. Growing up, I hated it. I wished I had curly hair. Now, I’ve learned to embrace it and how to style it. AND how to fake a natural, tousled look. Start with clean, straight, dry hair. If you have fine, thick, curly or coarse hair, you’ll need to blow your hair out before you begin. Add in dollop of mouse for volume (if you have fine hair), or your favorite serum/oil for a smoother blowout (if you have curly/coarse hair). Continue to curl all over. Allowing for the pieces of curled hair to cool down. Remember: it doesn’t have to look perfect. Once your curls are cooled down, grab some texturizing spray or dry shampoo and spritz the roots of your hair. We’re using Oribe texture spray here. 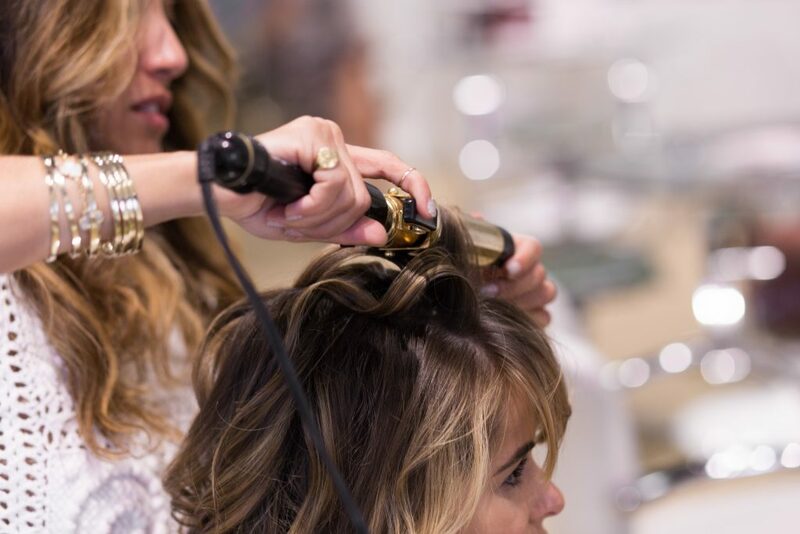 You’ll want to go section by section spritzing the roots of your hair… Try to avoid spraying the ends. If your hair is dry, use a spray with oil. That way it’s nourishing. For a somewhat polished look, take a piece of hair and pin it behind one ear. Or, shake it off! Shake it off! 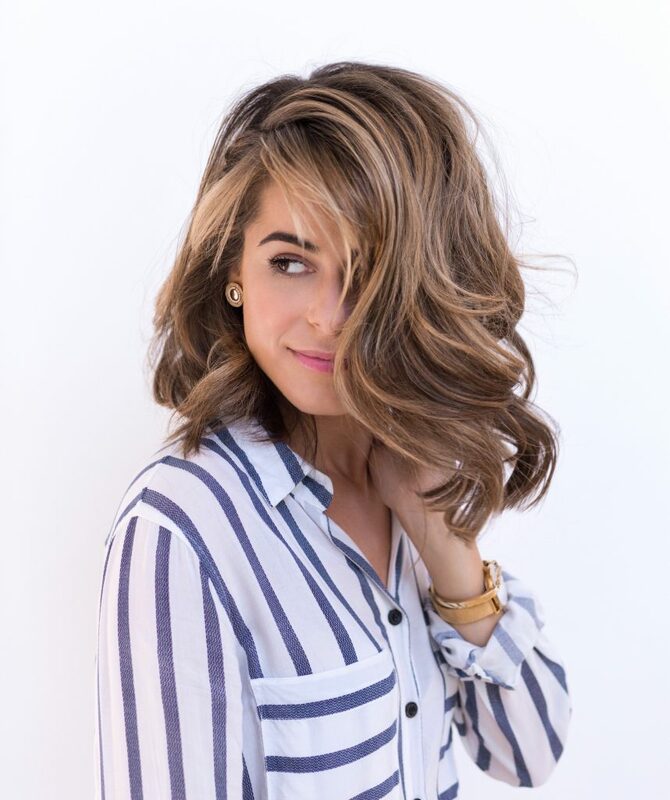 Using your hands, gently massage your roots and scrunch up the hair to mess it up and to create an effortless look. You can also do this by finger combing (suggested for fine hair). A good hairstyle depends on a good haircut so definitely visit your stylist (or Celeste at Anushka!) to figure out what works best with your hair texture and face shape. 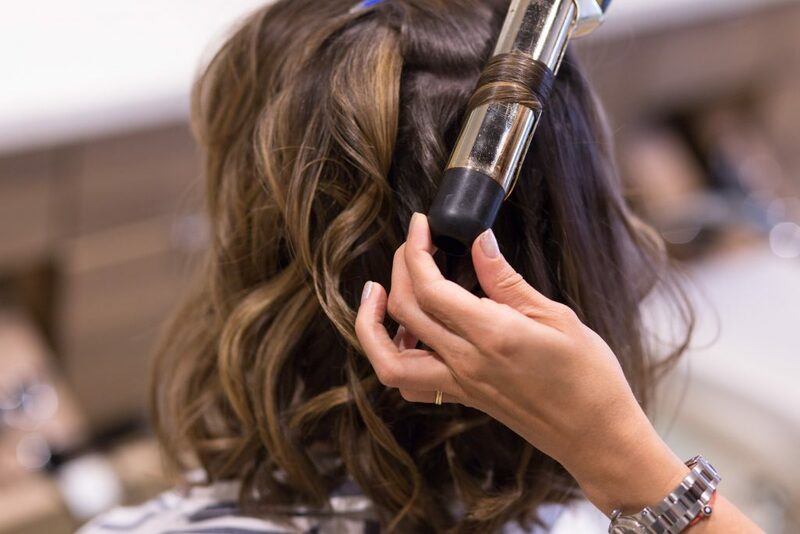 Newbies to Anushka – text: BLOWDRY to (561) 820-0500 for a special surprise! Comment below if you have any questions! Happy Sunday!